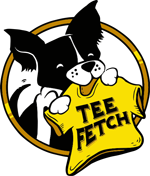 Rebel Mary Jane Tee Design Review. The Rebel Mary Jane tee design is for Mary Jane and Spider-Man fans. 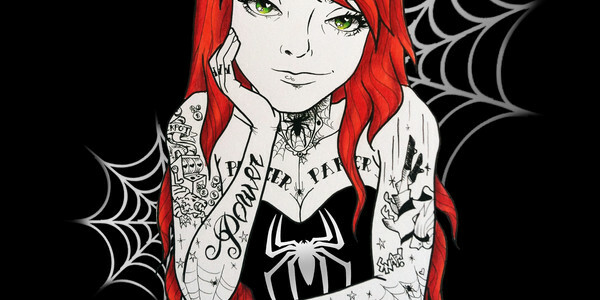 The concept for the Rebel Mary Jane tee design is that Mary Jane is covered in tattoos that tell hers and Peter Parker's story. Well mostly Peter's story. The tattoos are: "Jackpot" with a slot machine referencing which told Peter "Face it tiger you hit the jackpot. ", "Power" and "Responsibility" for the lesson that Peter learned from his Uncle Ben, "Peter Parker", "Mary Jane", Spidey Mask, Spiders and Webbing, and Peter's ex-girlfriend Gwen Stacy falling to her death. But this shows how awesome she is as the woman behind the man err Spider-Man. Such dedication and understanding. Such a metal or punk vibe which is a different take than the more glam fashion model and actress portray of her personality in the comic books. The gritty style consists of a flat comic or cartoon. It has interesting coloring with absolute pale skin and no shading except for what is in the Red hair and Green eyes. The tattoos are intricate and make the design a success. As a result, this is one cool Spider-Man tee. It is nice to put the focus on the supporting characters. 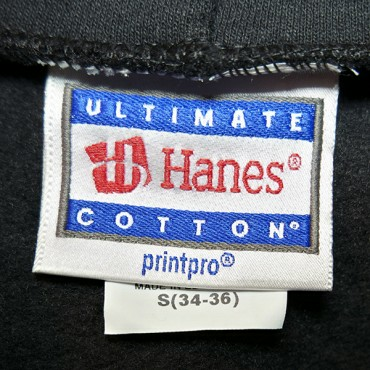 This Rebel Mary Jane design is (shown above) on a Hanes hoodie which is warm and comfortable. Rebel Mary Jane Tee Design by Lina Baby.